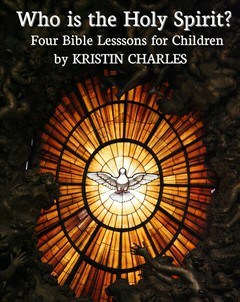 Children's Sunday School Lessons: Who is the Holy Spirit? Understanding the person of the Holy Spirit is often difficult for children (and even adults), but knowing God is essential to growing in our love for Him. This page is the index for our series of Sunday School lessons about the Holy Spirit. The links below lead to individual lesson plans. All these materials are free copy and use in your ministry. The Holy Spirit Mystery: The series begins with an object lesson and discussion that reveals the limits of our understanding. Our Life, His Home: This talks about God’s design that the Holy Spirit dwell inside our lives. Help Me Find Him: This will help kids understand the work of the Spirit in their lives. The Good Fruit of the Holy Spirit: This final lesson deals with the fruit God produces in our lives. It asks children to think about the good & bad actions they choose. Watch or show this online video clip that tells the Bible Story about Pentecost from the Jesus Storybook Bible. Thank you very much for the lessons about the Holy Spirit. We are going to use this lessons this year 2019. May God bless and reward your kindness for these free lessons. God bless you always! Thank you very much for these lessons. Will use them at our Sunday School Ministry starting next week will keep you posted :) Blessings!